Most of the features that you will need to manage your restaurant are located on the manager screen. All of the administrative functions you'll need will also be accessed through this screen. You can decide who has access to the various administrative functions and establish individual PIN codes for your staff. Menu screen - allows you to set up and control your onscreen menu. Employees screen - allows you to manage information about your employees. Jobs screen - allows you to set up jobs for your employees. Sections screen - allows you to define the sections of your restaurant. Discounts screen - allows you to set up happy hours, coupons, employee discounts and other discounts. Voids screen - allows you to establish specific reasons for voiding tickets or menu items. Advanced screen - allows you to create custom menus, discounts and table area sets. Daily screen - allows you to set a "message of the day", run daily reports and perform tasks such as setting up "Fresh Sheets". Tickets screen - allows you to see all open tickets and re-open closed tickets. Labor screen - allows you to manage time clocks and track tips. Reports screen - allows you to track the operations of your business. System screen - allows you to set up receipt headers, set automatic gratuities and business hours. Printers screen - allows you to set up printers and cash drawers connected to the Dinerware system. 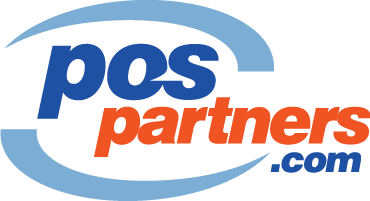 Help Center - quick link to POS Partners Help Center portal.